We are taught that forgiveness is good for us, and good people forgive But is this true? When an offender — such as an unfaithful partner, alcoholic parent, critical sibling or child — takes no responsibility for the harm they caused and shows no remorse, hurt parties often choke on the concept of forgiveness and find it far too generous. In this workshop, Dr. Spring will propose a radical, life-affirming alternative that helps hurt parties overcome the corrosive effects of hate and get on with their lives —without forgiving an unrepentant offender. She will also spell out a practical, interpersonal model of genuine forgiveness that teaches unfaithful partners and other offenders exactly how to earn forgiveness and hurt parties how to foster this process. Case examples and experiential exercises will bring these concepts to life. 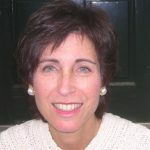 Janis Abrahms Spring, PhD, ABPP, author of After the Affair, How Can I Forgive You?, and Life with Pop is a recipient of CPA’s Award for Distinguished Contribution to the Practice of Psychology. Dr. Spring is also a former clinical supervisor, Department of Psychology, Yale.